Renewable Energy NW is excited to be able to offer this special Earth Day on-site solar open house event in Middleton, Idaho! This is your chance to meet the RENW team in person and see the work being done as it happens! Take advantage of this unique event to ask all the questions you have about solar thermal systems and ICF Building, how these systems work, and how they can benefit you. VISIT! 1932 Scotch Pine Drive in Middleton Idaho! While this home’s build cost will be close to traditional 2X6 cost of construction, it will be extremely energy efficient using 1/3 of the typical energy costs! This home features a ICF (insulated concrete form) to aid in insulating the home from energy loss, will be solar PV ready, and is expected to only use 10 solar pv panels to handle the home’s electrical energy load. This is just one example of how we can combine renewable energy technologies to bring your home beyond net zero! We would love the chance to talk with you more about what we do in person! 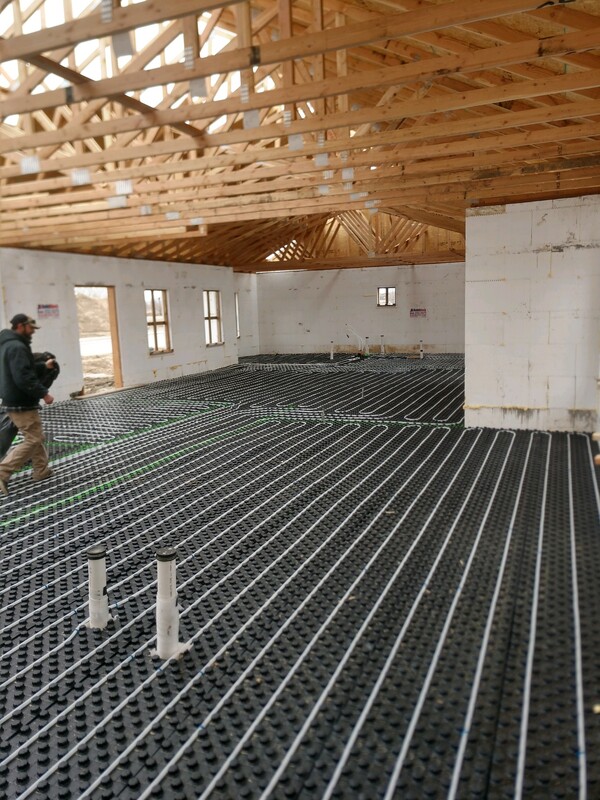 Please stop by to learn about building with Insulated Concrete Forms (ICF) and how solar thermal radiant floor heating and cooling can help you save on your home energy costs!